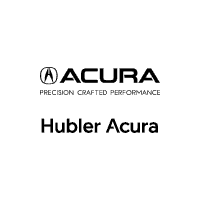 Because we are known for our exceptional Acura maintenance, our skilled service department here at Hubler Acura is well educated in all things service related. Our exceptional team is here to not only make sure that your vehicle receives the best service, but it is also here to answer any question that you may have relating to the services the services we provide, as well as caring for your vehicle. All new and many used vehicles arrive with a warranty covering unexpected repairs. Make sure that you understand the duration and covered components of the warranty. A typical warranty might be written “48/50,000” meaning that coverage lasts either 48 months from the initial purchase or until the vehicle has 50,000 miles, whichever comes first. Depending on what is being repaired, the length of a factory warranty varies. Often a comprehensive “bumper-to-bumper” warranty covers everything outside of schedule maintenance. This is generally the shortest warranty period. Usually, a longer powertrain warranty covers engine and transmission defects. Anti-corrosion protection often lasts even longer. In addition, some manufacturers offer roadside assistance for a limited time. One maintains the warranty by performing required service at the proper intervals and responding if something clearly goes wrong. Your owner’s manual explicitly lists service intervals, although cars are often equipped with “check engine” dashboard lights that signal needed maintenance. Your job is to take the vehicle in for service when the time arrives. Factory-authorized technicians must perform service and any other outside maintenance that can potentially void a warranty. Many warranties cover the parts and labor costs involved in fixing unexpected repairs, but place the burden of expected maintenance on the customer. Certain repairs may be covered by some manufacturers and not by others. Water and antifreeze keep your engine from overheating and freezing during extreme temperatures. Intervals for flushing the system and replacing coolant vary, as some manufacturers promise long lasting antifreeze good past 100,000 miles. A general time frame would be every few years or 30,000 to 40,000 miles. Older vehicles require the replacement or adjustment of spark plugs much more often than new vehicles do. Manufacturers today promise over 100,000 miles before a tune-up that includes changing the plugs. Still, checking the plugs at 50,000 to 60,000 miles is not a bad idea. Buy four matching tires, for the most part. Some rear-wheel-drive cars can get by with just rear snows, but front-wheel-drive cars should never have snow tires in the front and non-snow tires in the back. The inconsistency in grip during braking can cause the tail end to slide out of the driver’s control. All-wheel-drive vehicles require four tires as well. While we hope you found all of the answers to your immediate questions, please feel free to give us a call if there’s anything else you’d like to know! We proudly serve customers from Greenwood, IN, and the surrounding areas of Fishers, Carmel and Indianapolis!